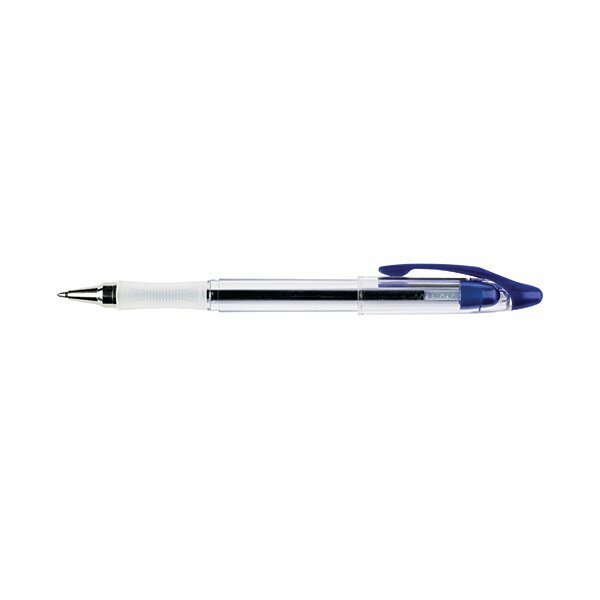 This Q-Connect Delta Ballpoint Pen has an ergonomically designed barrel with a special comfort grip to allow protracted use. The transparent design allows you to view remaining ink levels for efficient use and the blue gel ink is quick drying to help prevent smudging. These blue pens come supplied in a pack of 12.